A bit late posting the completion of this face. The difference between these 2 pictures is minuscule but I've included them both anyway. 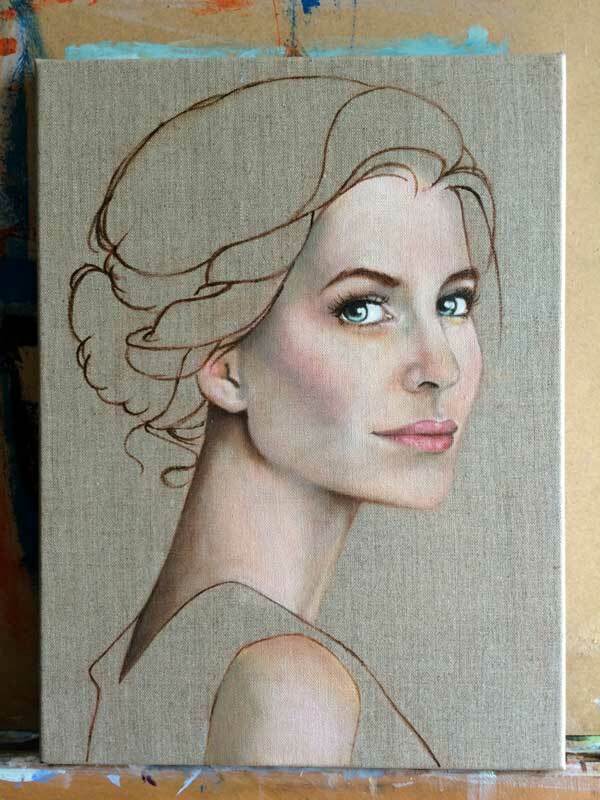 One of the beauties about this method of portrait painting is that, once you've established the proportions and tones in the monotone under painting, when it comes to adding the colour, a lot of the hard work has been done. It really is the fun part watching the painting come to life. This was painted quite some time ago so I can’t remember what colours I was using, but I was just beginning to explore the glazing method. I’m now quite hooked and have been trying glazing with still life as well as portraits. 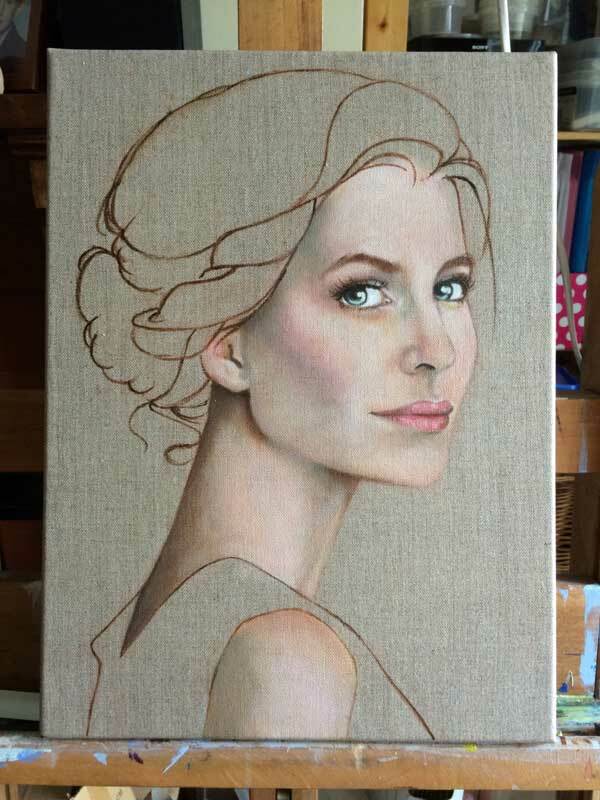 Even if I’m painting a fairly quick portrait without a tonal underpainting, I’ll still use glazing at the end to adjust the colour and to add shadow. It’s a fascinating method, it’s almost magical the way it brings the painting to life.